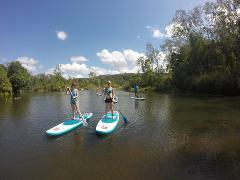 The Kuranda Rainforest Paddle Boarding Experience is the perfect relaxing paddle boarding trip for people of all levels of fitness. 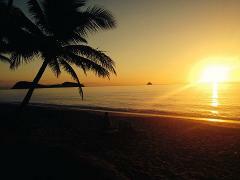 The water is very flat and flows smoothly and gently, so you don’t have to be an expert paddle boarder. 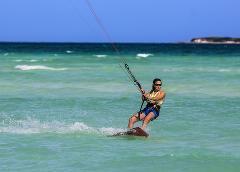 The 2 hour private lesson is the perfect choice of lessons for those who are really keen to learn kiteboarding. 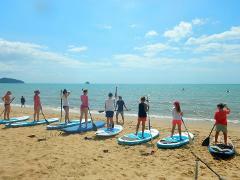 Ready to learn Standup Paddle Boarding (SUP)? The 1 hour private lesson is the ultimate way to learn SUP quickly and correctly. Explore the inner Great Barrier Reef - From Palm Cove Join us on our full day kayak tour of the inner Great Barrier Reef to Double Island and Haycock island. This is a great tour for the whole family. The 1 hour teaser is the perfect introduction to kiteboarding. 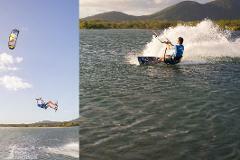 Want to learn kite foiling, but not too sure where to start? 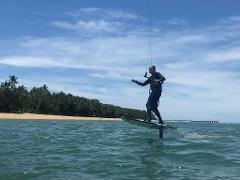 Here at Kiteboarding Cairns, we have been riding foil boards since the beginning, and our program uses the latest user friendly equipment on the market. 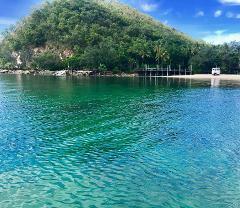 Experience Double Island Natural Beauty - Snorkelling Boat Trips, Paddleboarding Trips (visit Double Island by boat) , Island Hopping Trips by boat.